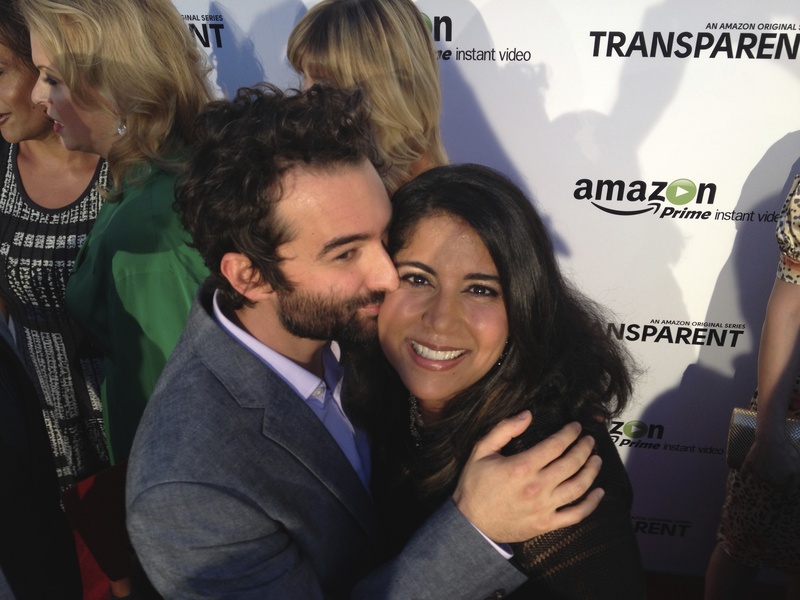 Nisha Ganatra, director of Transparent, gifted me with a fantastic conversation about my favorite subjects: media, feminism, parenthood, and Transparent (not necessarily in that order). We discussed how she came to work on what has been touted as the best show of 2014 by just about every news outlet that has reviewed it. Eventually, we talked about a whole bunch of other fun stuff because that’s what happens when queer parents get to chatting. So while we all wait with bated breath for Season 2 of Transparent, I bring to you excerpts from our VillageQ interview series with Nisha Ganatra. Ganatra went on to direct independent films such as Chutney Popcorn, Cosmopolitan, and Cake, but she never thought she could or would want to work in television. The world of television is an established industry, difficult to infiltrate and rigid in its hierarchical construct. You may think of television production as creative, but there is very little creativity that goes into making television. 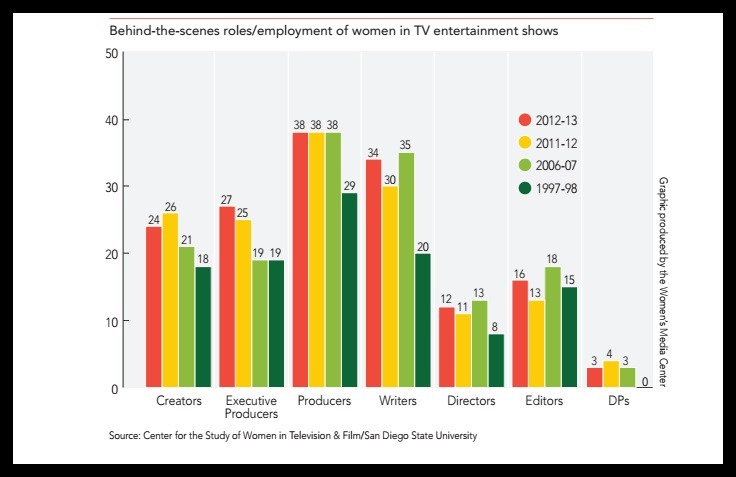 Ganatra’s work in independent film allowed her to wear many hats and afforded her a creative control that she would not enjoy in the closed, male-dominated field of television. Cut to Jill Soloway, a professional feminist creating television on her own terms. From comedy to plays to film, Soloway had established herself as a writer and director and she became the co-executive producer on Six Feet Under. Ganatra and Soloway knew each other professionally. Nisha had followed Jill’s career closely since her work on Six Feet Under. “I’d see an episode that blew me away, I’d go back and see that she wrote it, so I started following her name before I ever knew her just because I thought she was a great writer.” Ganatra was also impressed by the fact that Soloway was (and is) an out feminist, especially now when feminism continues to be a word that men and women – pardon the phrase – skirt around. Ganatra told me that Jill was really committed to hiring women. She only met with other women directors. In addition to the 25 trans people on the cast and crew of the first season, Soloway hired Lady J as a staff writer for season two after committing to hire a trans staff writer even if it meant training someone to do it. According to Ganatra, Soloway’s purpose behind making Transparent was to heal the broken feminine. “The whole mother-whore dichotomy is indicative of the divided parts of our selves. To be a part of healing that dichotomy is to heal the divide in our society. And, if we heal that in the world, then we will make everything a safer place. The goal of the entire series is to make the world a safer place.” It seems like quite a lofty goal, but Soloway is determined to do her part, and everyone else involved in the show has opted in to that vision. Maybe Transparent is a revolution in the making. On a very personal level, Soloway wanted to make the world a safer place for her transgender mother, affectionately referred to as Moppa. On the show, the kids also refer to Maura as Moppa. The real life Moppa had originally asked that her story remain private, but along the way, she agreed to let Jill refer to her transition. Perhaps Moppa feels safer, already. It could be that Transparent is to transgender men and women as Will & Grace was to gay men and women. Ganatra described how the two of them made boards for each episode and pinned collages together with pictures that were inspirational, sorting through colors, themes, and words that they thought were important moments in each episode. They talked about the scenes that spoke to them and which scenes they really wanted to direct. “We just shared, and it came naturally, and it was really beautiful,” Ganatra said. There have been few criticisms of the show, but one of them has to do with likeability of the characters. Much like in Six Feet Under, all the characters in Transparent are flawed, and sometimes it is painful to watch people making bad decisions or acting selfishly. Soloway has come to understand the root of their discomfort and what it means to have unlikeable characters. She asks herself, “Am I making a cisgender, straight, white man at home feel better? And if I’m not, then the character becomes unlikeable.” According to Ganatra, Soloway now takes pride in creating characters that are unlikeable given the likeability standards in mainstream television. Others have raised the issue that Jeffrey Tambor is a cisgender man playing a trans woman. Nisha points out that Maura’s character is, in fact, living through the early stages of transition. It should be said that he is a tremendous actor who is playing the role with dignity and professionalism. Interesting that no one has objected to the fact that Sarah’s partner Tammy is played by heterosexual Melora Hardin or that Kathryn Hahn is a gentile playing a rabbi. Many of the cast members are parents, however, which facilitates a universal language on set and a shared understanding of family dynamics. It is at this point in the conversation, I wanted to know what the secret to good parenting is. Now that I am a parent, I always look at the happy and successful people around me and ask them whether they accomplished all they did because of or in spite of their parents. I want to know what their parents did or didn’t do that I should be considering when raising my own children. So I asked Nisha to tell me a little bit about her own upbringing to possibly reveal any tips her own parents might offer. She added that she and her brother had a lot of time on their hands. “We were just bored! We’d have to go to temple every week and we’d sit in temple for a really long time, and someone was speaking an ancient language that we did not understand. Learning how to sit still for 2 to 3 hours a week and figure out how to entertain yourself? That was a valuable thing.” So there you have it. Ignore your children, and they’ll turn out great! I kid. Ultimately, her parents encouraged both of their children to pursue their own happiness – even if that meant going into television. NOW IT’S TIME FOR THE VILLAGEQ FINAL THREE! Question #1: How would you spend a weekend alone without any children? Nisha: I have the forced weekend alone, being divorced. On the weekends, I do all the boring stuff. The errands. It’s awful. Deborah: Should I leave that question out? Nisha: No, don’t skip it. When I watched Louie, I saw that episode when Louie’s kids go to his ex. He eats so much ice cream that he makes himself sick. He passes out, and then he just cries. And I was like, “Uch, that’s me.” Married friends think it sounds great to have a break from your kids. But the truth is, it’s awful. It’s the worst. One of the few things I think our parents’ generation did right is divorce, but I don’t think kids should be shuffled between homes in the name of equality. If anyone should be inconvenienced – it’s the parents. Not the kids. Aside: Nisha and I talked about the fact that in the first season of the show Sarah quickly bounces from her first marriage to Len to life with Tammy and how unsatisfying that might be for anyone who has gone through a painful divorce. Nisha indicated that there will be more marriage unpacking in Season 2. Question #2: What would your dream job and nightmare job be for your child? Nisha: A nightmare job would be an office job where he just punched in and where it didn’t involve any passion or joy. A dream job would be inventing something that we all didn’t know we needed. Question #3: As a mother, how are you like your own parents? Nisha: The thing my mom did was really made us her priority. My son understands that he’s super important to me and that’s what my mom managed to do. Even with all of her failings or drama, we never doubted that she loved us and that we were really important to her. If you can accomplish that, that’s pretty amazing. Such great insights. Thanks so much for the interview Nisha and Deborah! We had a great conversation, and I’m really looking forward to whatever comes next for Nisha – on Transparent and beyond! OMG, fangirling out over here! I am so impressed with the work folks have done on this show. Thanks so much for the interview. I can’t wait for season 2!!!!! Feels like an eternity to wait. Why must I binge?!? You’re welcome! Many thanks to Nisha who took me behind the scenes and taught me so much about the show and the television industry. Loved reading this. I had no idea the show was connected to Six Feet Under, my other MOST FAVORITE SHOW. I love the depth the characters have and the dedication to art I see in each episode (of both shows). Refreshing. I love six feet under too! Kuddos for the interview. You can see the similarities between the two shows, right? Fantastically flawed characters, clever dialogue, slow and purposeful story development? Can you tell that I may be a huge fan, too?